I had a wonderful time in Saskatchewan, on Yorkton Film Festival ( the oldest film festival in North America, back in 1945!) Surprisingly, Lipsett won 3 awards, including Best of Fest (it so rare when an animated film wins the Grand prize on a all-film festivals). 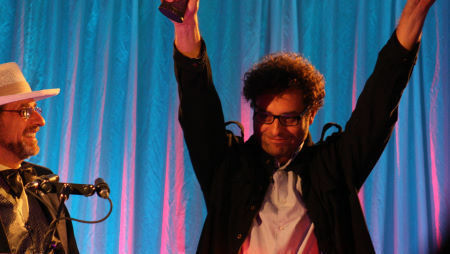 It took also Founder’s Award, and Best Animation film. That was a happy night!